Created in honor of a dog adopted from Dallas Pets Alive, Hop & Sting Brewing Co. of Grapevine has announced the release of Dixon's Pale Ale, with a launch event set to occur on National Beer Lovers Day. Hop & Sting co-owner, Brian Burton, rescued Dixon "the brewery dog" from Dallas Pets Alive on October 20, 2014. 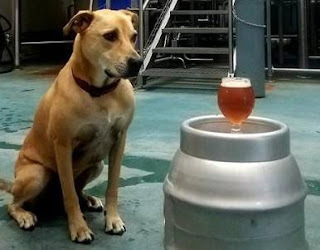 The next day, Dixon accompanied Burton to work at a local brewery, and he has continued to do so almost every day for the first two years of his life. As for the beer, Dixon's Pale Ale is described as "an American pale ale with intense hop flavor and aroma, balanced with a light caramel finish. It is hoppy enough for hopheads to enjoy, while approachable enough for everyone else. It is a great all-around beer to drink alongside a great all-around dog like Dixon." Dixon's Pale Ale is on tap now in Hop & Sting's taproom at Grapevine Craft Brewery, and it's also available in kegs for delivery to draft accounts. A portion of the proceeds from sales of the beer will benefit Dallas Pets Alive, with fifty cents from each taproom sale and five percent of all off-site sales going directly to the rescue organization. Festivities celebrating the debut of the beer will take place at the brewery on Friday, September 7. After that, look for Dixon's Pale Ale to be packaged in cans for sale this fall at independent beer stores around North Texas, as well as at area locations of Total Wine and Whole Foods Market. A close-up of IPhaaaaaaay, a.k.a. Outfit's New-England-style IPA (Photo: © Brian Brown/Beer in Big D). Emerging somewhat quietly on the North Texas scene, Outfit Brewing opened its doors this past weekend with a low-key, two-day event at its facility in Northwest Dallas. There was no glitz or glamour leading up to the debut, just a simple social media post saying, in effect, "we're open." But, the lack of a big build up makes sense once you meet founder Jordan Young. His story mirrors that of many, in that he's trying to take his passion for brewing to the next level. Yet, he's not looking to make a big splash with designs on taking over the world. Instead, Young is starting small and staying within his means, hoping to learn and grow organically as a member of the craft beer community. "This is very much a grass roots effort, with a lot of family and friends helping out," says Young. "We're slowly working on getting our name out there, and we're still making decisions on how we want to do things." One decision was easy, considering the availability of an unused warehouse his family has owned since the late 1970s. The family deals in insurance, so the front part of the structure still houses one of its offices, but Young renovated about 4000 square feet of space to locate the brewery and taproom out back. There, the production and public areas exist as an integrated unit, with seating options provided both inside and out. The taproom at Outfit has indoor and outdoor seating, two bars, two wide-screen TVs and a Golden Tee arcade game (Photos: © Brian Brown/Beer in Big D). As for why Young chose the name "Outfit" for the company, that story goes back to his grandfather. "My grandfather used the word 'outfit' for everything," explains Young. "He was a real character...a good guy...a funny guy. He started the insurance agency here years ago, and this was his building, so it's all just kind of an homage and to honor him." On the topic of Outfit's product portfolio, the initial lineup consisted of six different beers. Two IPAs were among the offerings, as was a cream ale, a Belgian blonde, a saison and a kölsch. 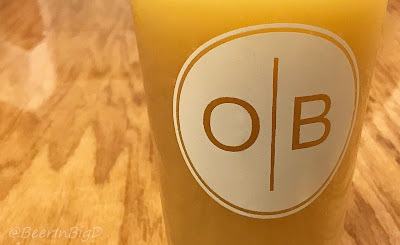 According to Young, the kölsch - which sold out - and a New England-style IPA were the most popular, while I would count the hoppy, Brett-influenced saison as my own personal favorite. Those recipes, and others in the works, are produced on a small-batch, five-barrel system. Given that, Young doesn't intend to distribute on a large scale (incidentally, self-distribution is the plan for now). Once operations ramp up, a few beers will be offered to draft accounts, but most of the brewery's stock will be made available in the taproom, either as a draft pour or by way of growler fills. What that means is, you should head to the brewery if you're looking to try the area's newest Outfit on for size. Set times for taproom hours are still to be determined, though, so be sure to follow Outfit's social media channels (Facebook, Twitter) for announcements on when those will occur. 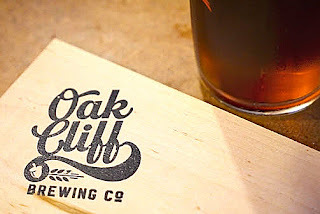 Image credit: Oak Cliff Brewing Co. 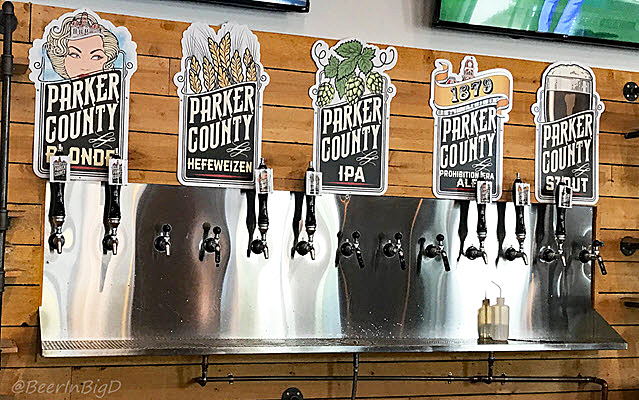 Completing a journey that began in 2015, Oak Cliff Brewing Co. has started production in Dallas, with eyes on opening its taproom to the public by the end of August. Furniture, finishing touches, and the matter of a final inspection - these are the items remaining on founder Joel Denton's to-do list. Once checked off, the company will unveil a 14,000 foot space housed inside Tyler Station. It's a venue that's set up as a co-working village, with current tenants including a charity, a church, various artisans and a bakery, in addition to the brewery. "It's a cool spot, and a pretty unique destination as far as breweries are concerned," says Denton. "We're part of a multi-purpose concept, where Tyler Station is this industrial pocket in the middle of all these Oak Cliff neighborhoods." For a little perspective, simply pull up a map to see how Tyler Station is centered among the communities of Elmwood, Wynnewood and Winnetka Heights. 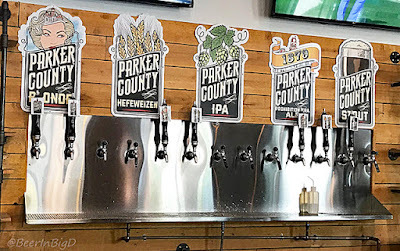 Given the surroundings, the taproom would seem to represent a refreshment oasis for Oak Cliff residents, some of which travel in and out of the area by way of a DART station adjacent to the building. Signs point to fresh beer being made in Oak Cliff (Photo: © Brian Brown/Beer in Big D). 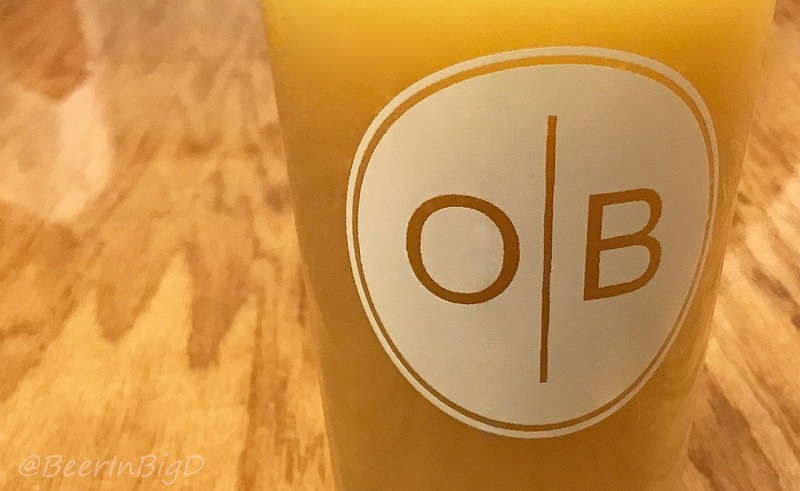 Regarding the beer, brewing operations are headed up by Todd Holder, who joins Oak Cliff Brewing after stints at locales in Texas, Oklahoma and abroad. Naturally, his job will be to keep up with the brewery's everyday lineup, not to mention its seasonal and specialty offerings. "We'll start with a core four, which for now consists of our Black Lager, Export Lager, Farmhouse Saison and Oak Cliff IPA," reveals Denton. "Those go into the big tanks, but Todd has some smaller batch beers he's working on as well. Right now we've got a Caramel Stout, a Brut IPA and, yes, a Hazy IPA, too." Oak Cliff's products will start hitting the market next week ahead of the taproom's opening. Launch events are planned at select draft accounts around Dallas, the details of which can be found below. As for the taproom debut, Denton says that could happen at a moment's notice. In other words, it's probably best to keep an eye on the brewery's social media channels (Facebook, Twitter) for any late-breaking updates. Tuesday, August 14: Parker Barrow's, Dallas - 6 p.m.
Wednesday, August 15: BrainDead Brewing, Dallas - 7 p.m.
Thursday, August 16: Craft Beer Cellar, Dallas - 6 p.m.
Thursday, August 23: Dallas Beer Kitchen, Dallas - 6 p.m.